Red Cross' community garden in Blenheim is supplying fresh produce to the local foodbank each week. 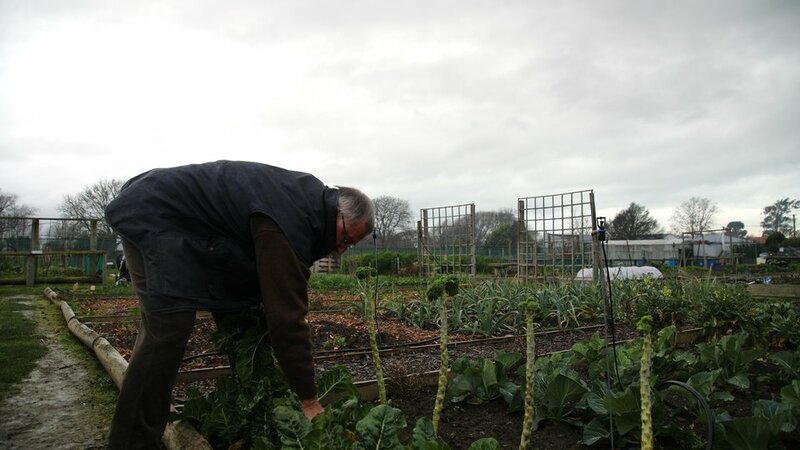 It is an unusually cold and blustery morning in Blenheim, but that hasn’t stopped John Whitehead from diligently tending to the Red Cross community garden. He’s been the gardens coordinator for the past three years, caring for and harvesting the vegetables each week. Usually about two boxes of produce are passed on to the Marlborough Community Foodbank each Monday morning; on this particular morning cabbage, lettuce, silverbeet, cauliflower, and rhubarb are all in plentiful supply. The Red Cross garden was started in 2013 with plans to supply food to vulnerable people in Marlborough and the foodbank was soon recognised as a perfect opportunity for the garden’s vegetables to be put to good use. An agreement was reached and John now supplies the produce each week, sometimes with a little help from neighbouring gardens. “A lot of the other people who have plots here have got to know me and know that I take food to the foodbank,” he says. The fresh produce is a valuable addition to the food parcels, particularly in winter when there’s a shortage. “Everybody wants fresh produce, the basic food we’ve got here are canned and non-perishable so it’s always good to have some greenery,” says Winnie Cosgrove, manager of the Marlborough Community Foodbank. The Red Cross garden in Marlborough is one of several the organisation runs as part of its activities supporting people in need around New Zealand.